The last PPC campaign I analysed in the ‘Analyse A Real PPC Campaign’ series was from Giff Gaff, who had a very good search advert and an exceptional landing page that was colorful, but minimalist, to get web users into the conversion of filling in a form to purchase a new SIM card with the mobile network provider. The PC and desktop computer market is, to some extent, shrinking just like the traffic from such devices to the internet. But, it is still a huge market, especially for those wanting to personally design their own ‘monster’ of a PC (custom-built). With this, here is an analysis of a PPC campaign from Computer Planet. Only three adverts appear for the maximum of four adverts, making clear that the competition for such a search phrase is not fierce enough to completely lock out all of paid search. Computer Planet do not rank anywhere on the first page of organic search results, providing a good reason behind the need for a PPC campaign. From being ranked lowest goes on to suggest that either their quality score is low or that they have adopted a low CPC for such a keyword search phrase. Linked price to a gaming PC Computer Planet sell. Overall, this is a good PPC search advert, although a better site link extension to increase the spacial area of the advert would have benefited the advert’s exposure level. First impressions of this landing page are not good considering how ‘busy’ it is with links, the navigation menu, content and images. 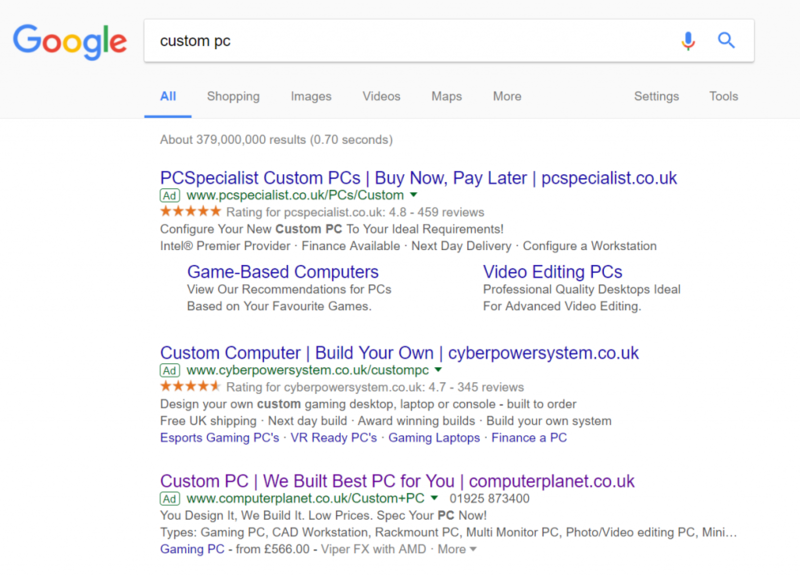 However, what needs to be remembered with such a PPC campaign is the type of web users that are targeted: those looking to buy a custom PC. For this reason, the cluttered approach to this landing age might actually be beneficial, providing the web user lots of different options when it comes to building a custom PC. The only obvious downside to this landing page are the two images at the top, with one being the logo and the other a banner advert, which struggled to load and produced an error instead. For this reason, this is a good PPC campaign. 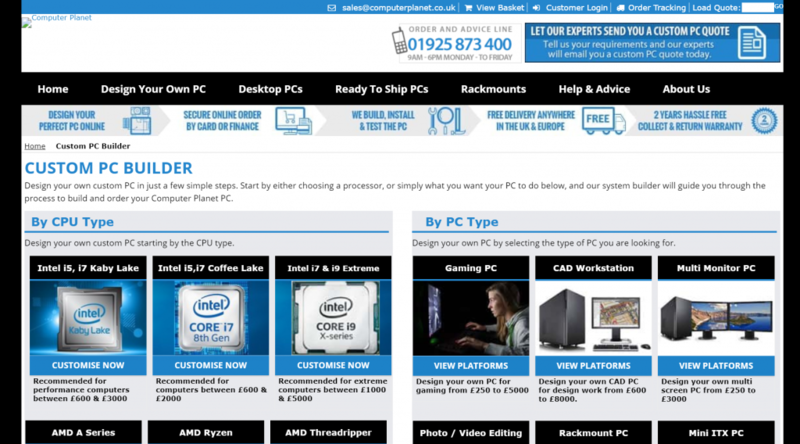 The search advert was well designed and the landing page hits the spot as to displaying the numerous options Computer Planet offer for building a PC.